The founder-father of Ch. Ishwar Singh Mahila Shikshan Mahavidyalaya, Fatehpur-Pundri, its patron or by which-ever such titles we remember him, Late Ch. Ishwar Singh stands a unique personality that does not find any match in the history of this region. By virtue of his indelible contribution to the cause of rural education and the uplift of this area he has become a legend and shall always be remembered with reverence not only by the elder generation of more than fifty but will continue to be adored even by the next generation of this belt for centuries to come. Even those from his family circle would not have perhaps visualized that this child born in a middle class family of Ch. Singh Ram on 5th November 1926 in Staundi village of District Karnal would one day become the pioneer figure of Haryana. So far as formal education of Ch. Ishwar Singh is concerned, he studied at various illustrious educational institutions at Staundi, Panipat, Rohtak, Meerut, etc. His education, however, was his life-long phenomenon because he continued to learn from his surrounding atmosphere from nature and from experience of all luminaries with those whom he happened to come into contact. He set a glittering examples to inspiring others also to continue the life-long process of learning. The distinguished and unique personality of Ch. Ishwar Singh, the founder of our Mahavidyalaya, can in brief be described as calm, serene, sophisticated, ever-smiling, soft-spoken, well disciplined, embodiment of simplicity, fair-complexioned, tall having robust body. While in the field of education he was a real seeker, in the action-field, he was an untiring crusader. He was habituated to make endeavour indefatigably notwithstanding his busiest schedule while discharging all his responsibilities as the Speaker, Haryana Legislative Assembly. He used to devote two days a week exclusively to the institutions founded and being run by him. Scorching heat, biting cold or torrential rain, nothing could come in his way of dedication. He had the rare capacity of working non-stop, and along with him, making others work for eight hours continuously in the field irrespective of the whatever food was available to eat. He was an optimist throughout his life. Unlike ordinary people like us who become bewildered and overtaken by the crisis, he never lost his patience and courageously steered his way through all odds. Ch. Ishwar Singh will be long remembered for his conviction, resolution and steadfastness and as one who came out with spontaneous solutions to the knotty problems in trying situations. He was very simple-hearted person, just like a ‘sidh yogi’, and was never seen losing his temper. Yet all those working under him had to remain very alert throughout as he did not like lethargy or indolence. He showered affection on everyone. He was most knowledgeable person and had a special command over Science, History, Culture, Poetry, General Knowledge,. etc. He had an inexhaustible repertoire of village-folk phrases and jokes full of the content of humour and the essence of knowledge. Everybody was astonished at his sharp wit, minute observation and extraordinary memory. He had the potential to realize the dreams he cherished. Broken cot or posh sofa – both were alike for him and this was the extent of his detached attitude towards worldly comforts. He worshiped art like anything. The atmosphere of the C.I.S.M.S.M.V. Fatehpur-Pundri, C.I.S.K.M.V. Fatehpuir-Pundri, C.I.S.K.M.V. Dhand-Dadwana, B.A.R. Janta College Kaul, Ch. Charan Singh Haryana Agriculture University, Kaul fully demonstrates his love for nature, aesthetic sense and extensive experience. Ch. Ishwar Singh’s was a special contribution in the field of education. Credit goes to him for bringing about a revolution in the field of women education in Haryana. Kanya Gurukul Anjanthali, C.I.S.K.M.V. Fatehpur-Pundri, C.I.S.M.S.M.V. Fatehpur-Pundri and C.I.S.K.M.V. Dhand-Dadwana all these institutions are his unparalleled gifts to the field of women education. He has been the founder of all these leading institutions. He was also a representative of various other institutions. He earned membership of the Court and Executive Council of the Kurukshetra University and was the administrator of the Ch. Charan Singh Haryana Agriculture University, Kaul. He represented Haryana in the Punjab University. He had the distinction of attending London Parliamentary Conference in Delhi. He was particularly fond of social service, always studying and touring. He visited England, France, Germany, Italy, Switzerland, Lebanon, United State of America, Canada, Japan, Hong Kong, Sri Lanka, Thailand, Belgium, The Bahamas, Behrain, Cyprus, Egypt, Netherlands, Spain, Turkey, Papua New Guinea, Australia, Philippines, South Korea, Iran and Russia. International Friendship Society of India, Bombay conferred on him the honour of ‘Vikas Ratna’ in 1994. He started his political career in 1968 as an independent candidate. 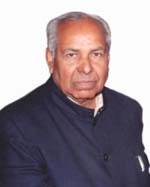 He was a member of Haryana Legislative Assembly in the year 1968, 1972, 1982 and 1991. From 1969-1972 he was the first Chairman of Haryana State Agriculture and Marketing Board. He remained the Chairman of Public Accounts Committee from 1972-1977. He also remained the member of the Subordinate Legislation Committee from 1982-1985. From 1984-1985, he was the Chairman of the Subordinate Legislation Committee. From August 1984 to May 1987, he adorned the Planning Board as its Vice-President. From 1991-1995 he graced the Hon’ble Chair of the Speaker, Haryana Legislative Assembly. From 25 March 1992 he elected Chairman of the Regional Branch (Haryana) of the Institute of Constitutional and Parliamentary Study. In this way he exercised his full capabilities and rights in different capabilities and led to the transformation of this area. The people of this area can never forget his huge contribution. Hundreds of salutes to such a great personality from Ch. Ishwar Singh Mahila Shikshan Mahavidyalaya, Fatehpur-Pundri.